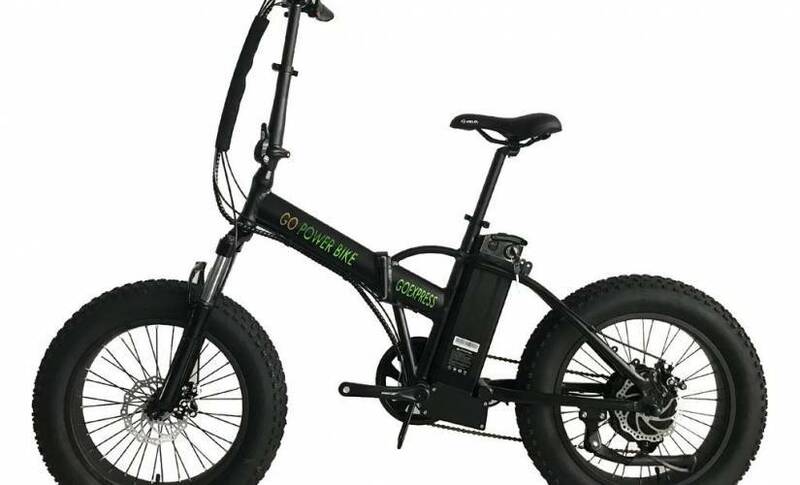 If you are looking for an electric bike that transitions from your city commute to weekend fun, then you can find it in the Gopowerbike GoExpress Foldable Electric Bike. Competitively priced at $1,250 and available in black or gray, this small, foldable electric bike goes the distance and is packed with features. Here’s why we like this electric bike so much. The motor and bike do the work for you, allowing you to sit back and really enjoy the ride. Gopower’s 500W gear hub motor has a 40 Nm torque, giving you a riding speed of up to 20 miles per hour. This gives you the power you need to easily climb when you are exploring the nearby hills and enjoy a robust ride for those pavements, sand, and urban environments. In terms of versatility, the portable electric bike has four modes: pedal assist, manual, walk, and electric. The durable aluminum alloy foldable frame with folding pedals allows you to store it anywhere, making it easy to bring along to a job in a high-rise. The adjustable seat means that it’s perfect for bike riders who are 5’4″ and taller. This bike, which has a dual-layered seat saddle, was designed to be as comfortable as possible, absorbing the roughness of any surface to deliver a smooth ride. This electric bike features a Shimano seven-speed derailleur as well as front fork shock suspension and a quick release axle on the front wheel. The bike company notes that its frame and front fork suspension have passed vibration tests. Safety is always a concern when you are riding a bike. To make sure you can be clearly seen on the road, the electric bike has an LED highlight. 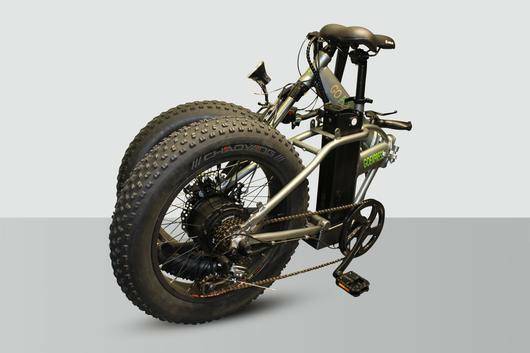 The fat tires are four-inch double wall, puncture-proof Kenda tires. Then, the front and rear disc brakes give you greater control over the ride, giving you a braking distance of within nine feet. There is also a motor safety cutoff for when you are in electric mode and need to stop the bike. That way, you can hopefully avoid any accidents. However, there is so much more to this electric bike that helps you get more bang for your buck. The 10ah battery adds up to approximately 30 miles per full charge and it only takes three to four hours of charging time. Also, there’s a Battery Management System to protects the battery from over-charging and extreme temperatures. Gopower’s twist throttle allows riders to instantly power the bike through electric mode. 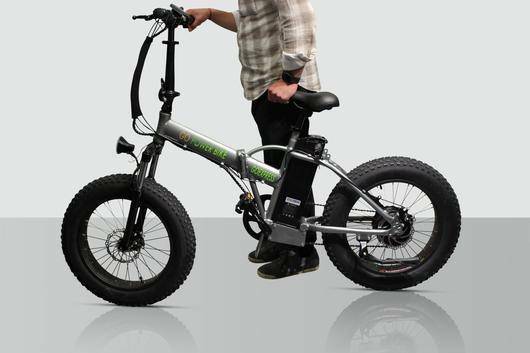 With the electric bike, you’ll also get a charger, tool kit, and owner’s manual. A PDF version of the owner’s manual is also available on Gopower’s website. The foldable electric bike comes with a one-year warranty with the option to purchase an extended warranty. We have previously tried many of Gopower’s other electric bikes and mobility vehicles, and we’re big fans. This all-terrain vehicle is perfect for all biking skill levels. Its versatility makes it a perfect bike for all locations and surfaces. It’s easy to use, fold-up, store, and charge. Its competitive advantages are in material quality, smart design, and durability. With so many features geared toward comfort and safety, the price point delivers significant value and fun ROI for the investment. Use code READWRITEBIKE for 10% off.